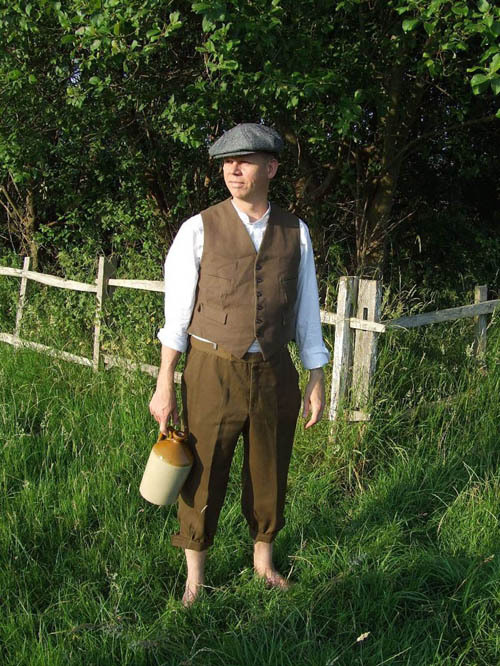 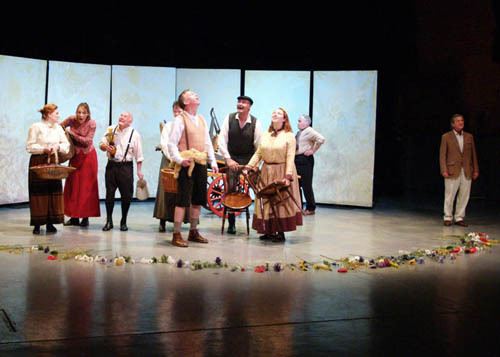 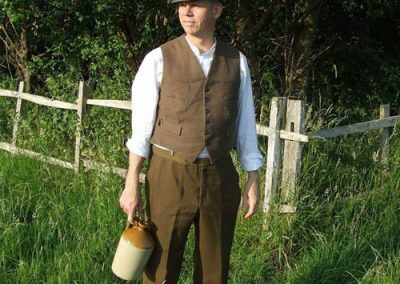 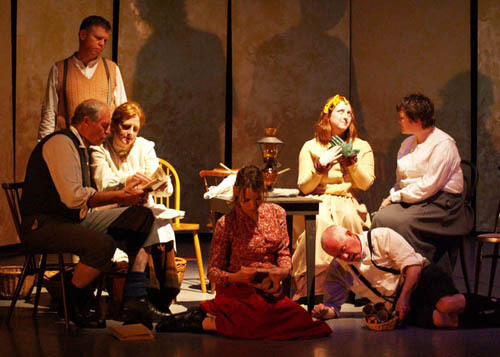 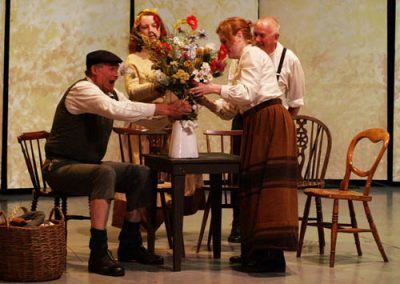 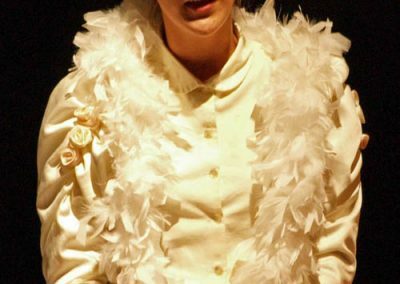 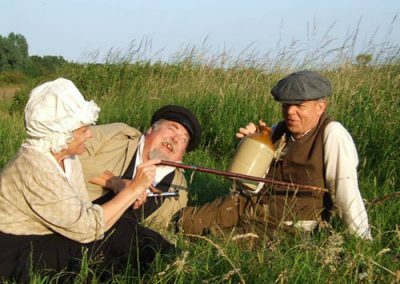 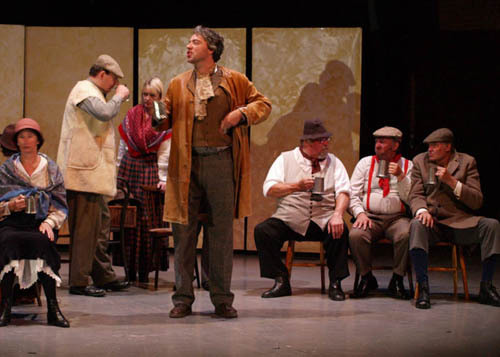 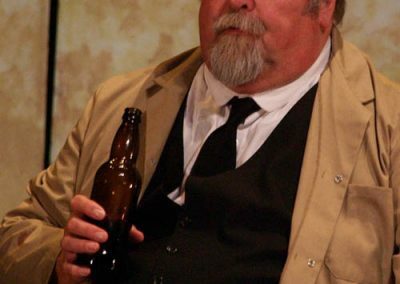 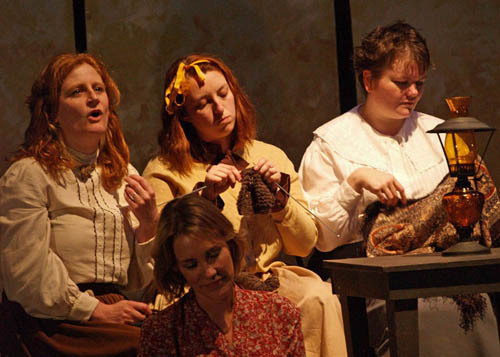 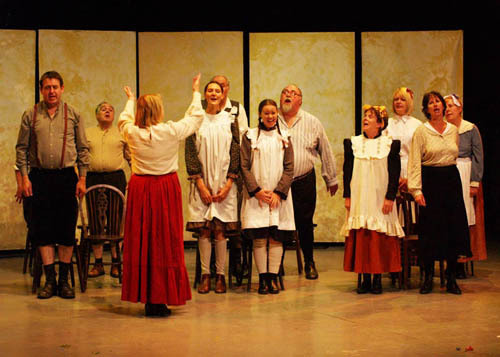 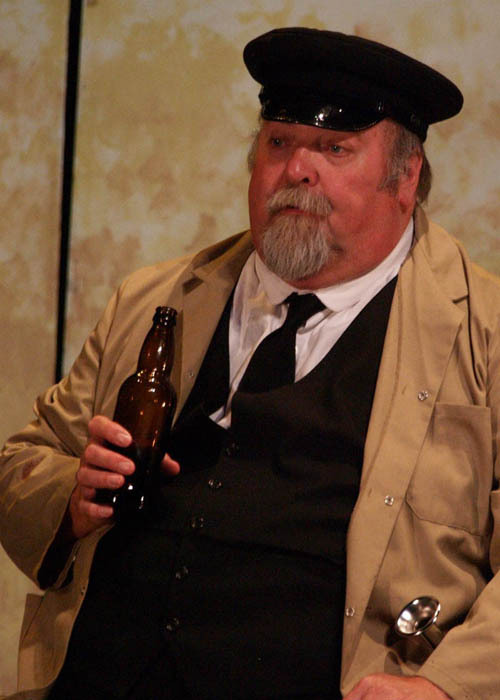 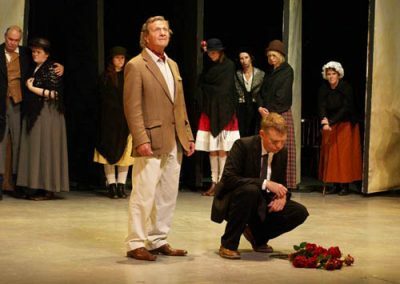 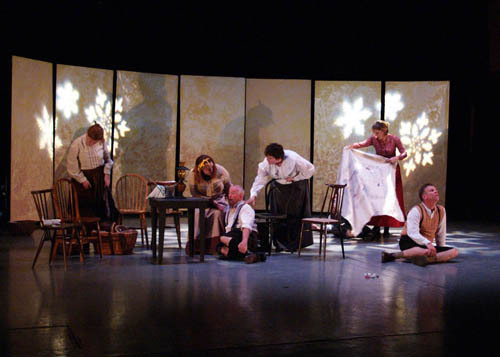 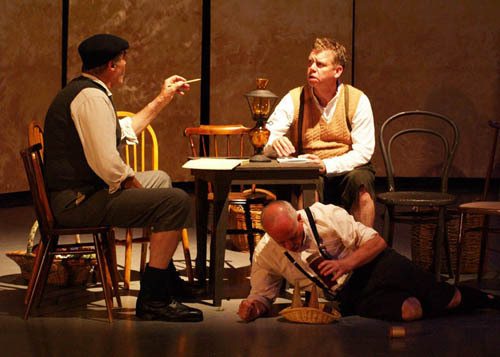 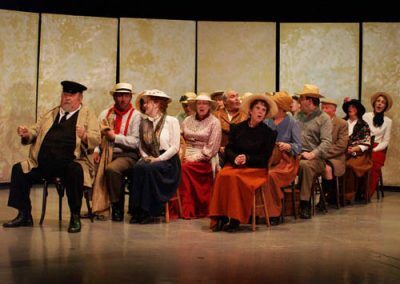 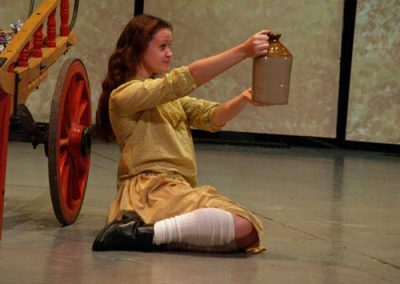 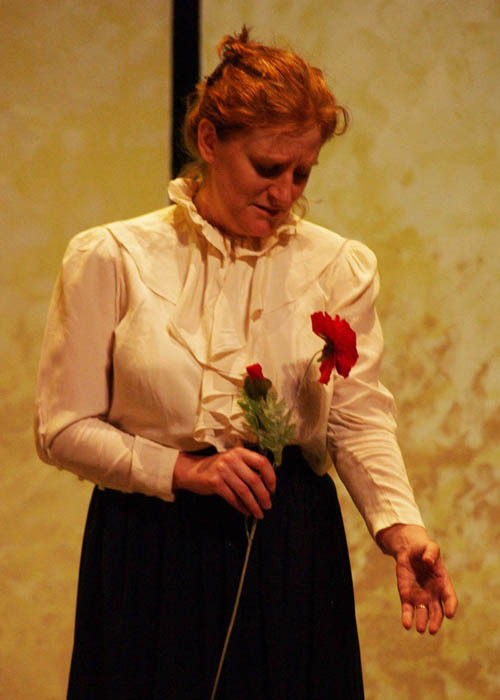 For our summer 2009 production we opted for another ambitious and innovative staging with a cast of thousands – James Roose-Evans’ adaptation of the first part of Laurie Lee’s autobiographical trilogy, Cider With Rosie. Once again Common Ground Theatre Company proved itself to be a group which can absorb new members and take on complex and at times daunting productions: of the 21 actors in the cast 11 were newcomers to the company, and between them they tackled some of the trickiest bits of stage business Common Ground has attempted to date! 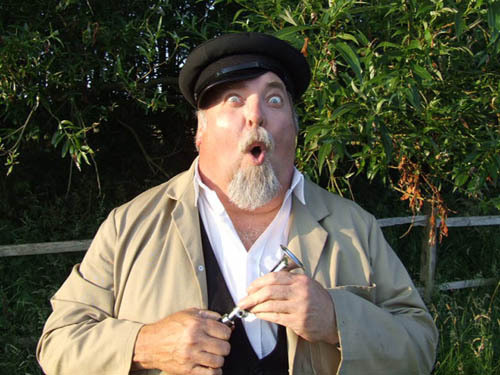 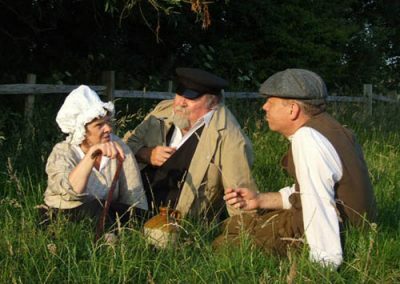 Tim Bradford held the show together with a star turn as Laurie Lee narrating the action, and he was ably supported by Teana Hutchinson (Mother Lee) and the rest of the family. One of the biggest challenges faced by the cast – apart from recreating rural Gloucestershire between the wars with only a few props, costumes and 18 wooden chairs – was the fact that all the children were played by adult actors, including some as young as three or four. 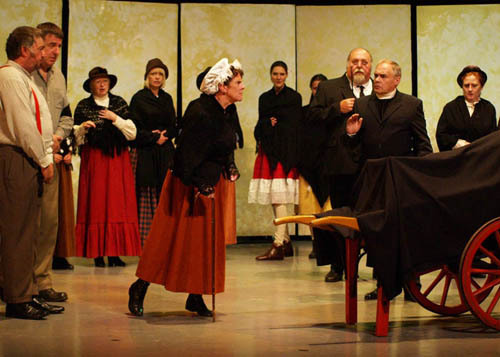 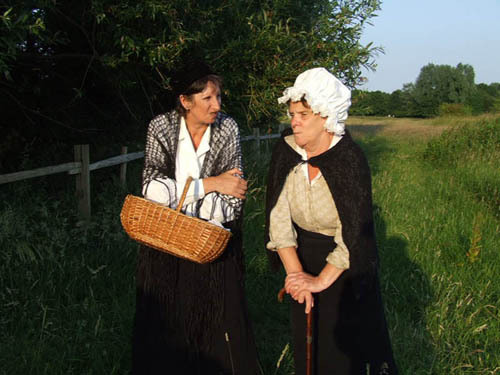 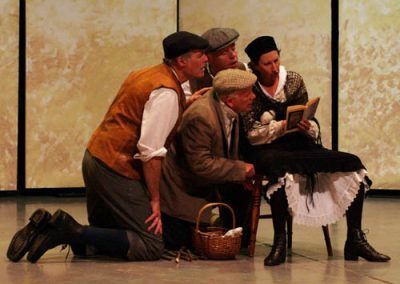 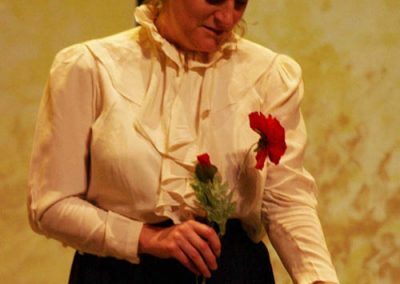 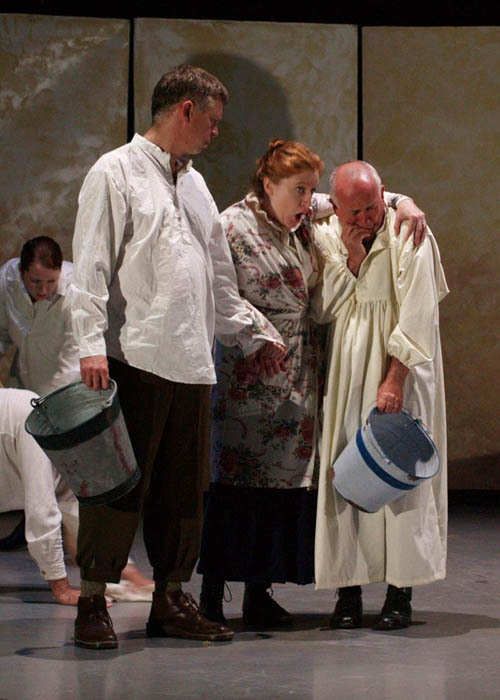 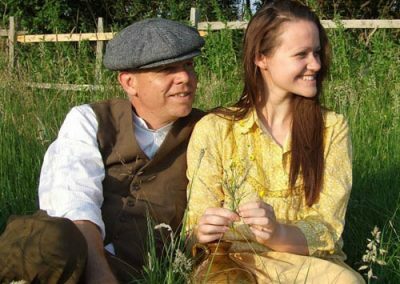 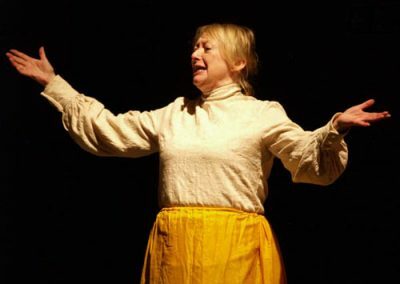 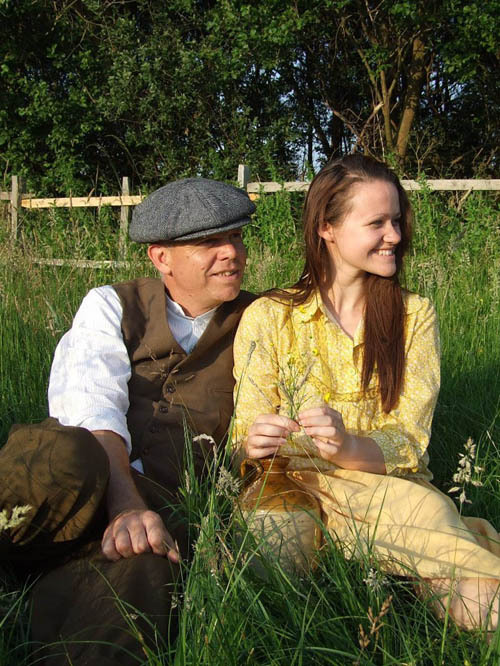 The Market Rasen Mail described the production as ‘a worthy introduction to Laurie Lee’s trilogy, which will have made many in the audience want to read or re-read the book’.